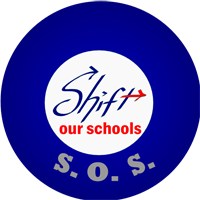 A new initiative from Jeff Utecht and David Carpenter is the Shifting our Schools International podcast. This goes live to air every second Thursday via SOS UStream and Jeff's On Deck blog. It is designed for all educators to participate but has a particular focus on educators in international schools in the Asia region and goes 'live' at a time that is suitable for this part of the world. How does making connections affect learning? with guest speaker, yours truly! The show itself was a continuous conversation of ideas, reflections and sharing best practice examples form our schools. We talked about making connections through online projects such as Flat Classroom and Horizon Project. We talked about communication issues and how shift is happening in our respective international schools. We talked about the selection and use of software (online and portal) to facilitate communication within our schools and with the wider world. Justin shared 3 guiding questions developed at ISB based on the new literacy skills our students need. They are working at integrating these guiding questions across their curriculum. Our students will not just be citizens of their localities but will be participants in broader communities connected digitally. For more information on this new literacy and curriculum integration, check out their Google Doc and wiki. How do we shift our schools? How can we make and use connections to effect learning? The SOS Podcast itself is a great example of how connections can effect learning, I encourage you to listen to the podcast. Thanks Julie for joining us. Know that you are welcome anytime to join in on the conversation. You have my Skype ID and know where to find us. Looking forward to the international conversation.